PHOTOBOOK PRIZES & DUMMY AWARDS 2018. Just in time before the summer, we have compiled this list of dummy competitions and photobook prizes. Entries are sorted by date. The ones that are still open (as of June 2018) go first. For more infomation, go to their respective websites. This list is sure to grow as we find out about new ones. If you know of any we should add, please let us know. Photobook Week Aarhus Dummy Award: Hurry! Deadline June 30, No fee. Paris Photo – Aperture PhotoBook Awards Open till September 14, 2018. ISSP and Riga Photomonth invite photographers and visual artists to submit their photobook dummies and yet unpublished books to the SELF PUBLISH RIGA international competition. The winning entries will be featured in the SELF PUBLISH RIGA exhibition during Riga Photomonth, May 2016. Submission deadline: 30 April, 2016. The second edition of the SELF PUBLISH RIGA dummy contest will be judged by an international jury: Erik Kessels (founding partner and creative director of KesselsKramer, curator, publisher and photography collector, NL), Gordon MacDonald (co-director of GOST Books, UK), Hester Keijser (curator, co-manager of The Independent Photo Book blog, NL), Vincent Marcilhacy (founder and director of Eyes Magazine, FR), Tom Mrazauskas (photobook designer, DE/LT) and Arnis Balčus (editor of FK Magazine, co-founder and programme manager of Riga Photomonth, LV). SELF PUBLISH RIGA is a bi-annual series of events dedicated to photobooks and self-publishing, organized by ISSP in Riga, Latvia. It includes an international dummy competition, an exhibition of photobooks and book dummies, a series of talks on photobooks, self-publishing and book design by industry experts, and a workshop. The exhibition will run from May 12th till June 12th 2016, as one of the central events of Riga Photomonth. The first edition of the SELF PUBLISH RIGA dummy contest in 2014 received more than a 100 book dummies from over 30 different countries. SELF PUBLISH RIGA is supported by the State Culture Capital Foundation, French Cultural Institute in Latvia. Info partners: FK Magazine (LV), YET Magazine (CH). The IED Madrid and EMAHO Magazine, in collaboration with Guardian Garden Gallery, launch an intensive four-day workshop with Katja Stuke and Oliver Sieber, which will take place from April 5 to 8 in Tokyo, Japan. Katja and Olivier will look at very different forms of publications, contemporary positions as well as introduce various ideas of research and visual strategies. After an introduction of their own work and their curatorial approach to ANT!FOTO and the ANT!FOTO Manifiesto, different aspects of photographic concepts, different thoughts to photography and ideas of cooperating and collaborating will be discussed with all participants. Views on photography from an european and japanese perspective will be examined and discussed. In particular the participants are asked to introduce their work to Katja and Oliver (and the other workshop participants). Together they will explore and debate the concepts, develop strategies of presentation or publication of each work and will seek for possibilities how to realize these photographic works. The last evening will be filled with discussing photography during a »居酒屋が並んでいる Izakaya get-together«. Behind ‚Böhm/Kobayashi‘ lurk the duo Katja Stuke and Oliver Sieber, who together cover an extensive range of personas: photographers and artists, curators and exhibition organizers, designers and art book editors. Yet as they move through their photographic cosmos, it is not always so easy to determine where one identity ends and the other begins. […] Regardless, in their works and activities as artists and art facilitators they have long since become moderators of a very specific photographic culture. Entry requirement: Curriculum vitae, Letter of interest – Technical knowledge in photography is mandatory; basic experience with post-production skills and a familiarity with audio-visual formats is also required. – Project Portfolio – Personal interview as deemed necessary by the Academic Coordination Team. Certification: at the end of the course, an accredited certificate will be awarded for having completed it satisfactorily.. Attendance: class attendance is mandatory and will be necessary to obtain a diploma. 11:00-13:30 Introduction to the work of Katja Stuke and Oliver Sieber, including questions about collaborations, curating, and exhibitions. Special focus on fanzines and book-making. 14:30-17:00 Introduction of the students, their work and their motivations to take the workshop. Introduction to the workshop’s dynamic and targets. During the day, participants have time for taking images, (or selecting existing images), printing images, preparing material on their own, with the possibilities to see the workshop teachers in informal meetings. 19:10-21:30 First analysis and group critique: Individual presentations of approaches and group discussions of the presented images. Critique by Katja and Oliver including questions about concepts, technical problems and solutions. During the day, participants continue working on their images and meet with the workshop teachers on an individual basis. 19:10-21:30 Second group session: Editing, sequencing of each participants works. Discussing possibilities of realisation and materialisation (book, fanzine, projection, installation, performance, exhibition, …). During the day: Final retouches on the projects. Second Portfolio Review with Moritz Neumüller (optional) 19:10–21:00 Presentation of each participants works in the Gallery. Final critique and discussion. 21:00 »居酒屋が並んでいる Izakaya get-together« and farewell. Katja and Olivier, docents of the European Master of Fine Art Photography, will look at very different forms of publications, contemporary positions as well as introduce various ideas of research and visual strategies. After an introduction of their own work and their curatorial approach to ANT!FOTO and the ANT!FOTO Manifiesto, different aspects of photographic concepts, different thoughts to photography and ideas of cooperating and collaborating will be discussed with all participants. Views on photography from an european and japanese perspective will be examined and discussed. In particular the participants are asked to introduce their work to Katja and Oliver (and the other workshop participants). Together they will explore and debate the concepts, develop strategies of presentation or publication of each work and will seek for possibilities how to realize these photographic works. The last evening will be filled with discussing photography during a »居酒屋が並んでいる Izakaya get-together«. This is a Call from our friend Carlin, editor of dienacht, a printed Magazine for Photography, Design and Subculture published in Berlin. Photography usually is the main topic, but they also feature Illustration, Graphic-Design, and other visual art forms, as well as articles about underground movies, music and self-publishing. Der Herr Kapitän. Jawoll ! “dienacht likes to see and publish strong, timeless photography. It’s not about showing the most recent series or bodies of work. All kind of photographic genres are showcased in the magazine, excepting fashion photography. dienacht is published 2x/year, printed in a limited edition of 1000 numbered copies, in English and German. dienacht is a portfolio magazine. dienacht is not only a magazine. 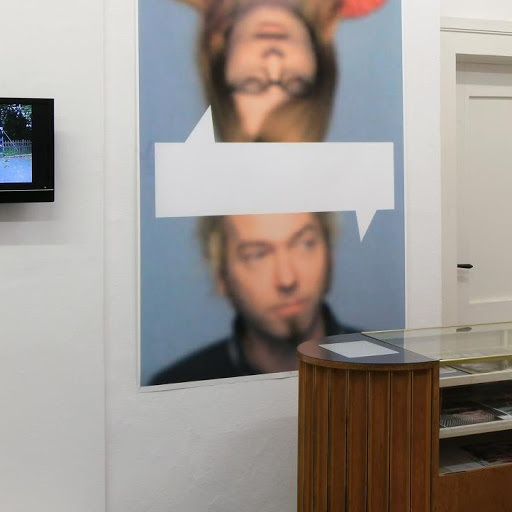 Single and group exhibitions took place during the last 5 years in different cities in Germany and Luxembourg, showing artists featured in dienacht, guest lectures and talks were hold at universities, colleges and photo festivals. dienacht is based in Germany – so yes, I also speak German! Download the mediakit here (German only). If you need any press images, information or the Mediakit in English, please don’t hesitate to get in touch. Some reviews about dienacht Magazine, Exhibitions and books published by dienacht Publishing. Call for Entries for dienacht #14 (or one of the next issues). While reviewing my favorite photobooks of the year, I noticed that numerous selections could be classified as crime stories. So in creating this year’s list, I thought it would be an entertaining exercise to categorize all of the books by genre. Given the quantity and quality of books being published, it is now feasible to think of photobooks in much the same way as we think of literature and cinema. These genre pigeonholes are reductive, of course, but like year-end lists, they are mostly a lighthearted excuse to analyze and discuss quality work. Crime: A Criminal Investigation by Watabe Yukichi (Xavier Barral-Le Bal). Following a police detective investigating a 1958 murder in Tokyo, Yukichi’s photos almost look like stills from a Chandleresqe noir. Elegantly mixing text and image with perfect printing and design, this is a masterpiece of photographic storytelling. My favorite book of the year. Runner-up: Redheaded Peckerwood by Christian Patterson (Mack). Like A Criminal Investigation, Patterson’s book was inspired by a 1950’s killing spree. But rather than a linear narrative, Redheaded Peckerwood is like an investigator’s dossier in the age of Google Images. Comedy: Paloma al aire by Ricardo Cases (Photovision). A documentary on pigeon racing that manages to be funny, mysterious and strangely touching. Runner-up: Animals That Saw Me by Ed Panar (The Ice Plant). Panar’s book could also be classified as the children’s photobook of the year. Family Drama: In the Shadow of Things by Léonie Hampton (Contrasto). A mother and daughter try to come to terms with shipping boxes, mental illness and memories. Along with the excellent photographs, be sure to read Hampton’s interview with her mother. Runner-Up: Mom & Dad by Terry Richardson (Morel). A fascinating glimpse into the legendary shock-photog’s roots. Romance: Eden is a Magic World by Miguel Calderón (Little Bigman Books). A heartbreaking look into a Korean man’s obsession with a Mexican soap opera actress. The second brilliant narrative photobook by Calderón. Runner-up: Book of Ruth by Robert Seydel (Siglio) Told in photo-collages and poems, the fictional tale of a woman who falls in love with Joseph Cornell. Horror: The Wedding by Boris Mikhailov (Morel). Another hard-to-swallow masterpiece from the great provocateur. Runner-up: Series by Enrique Metinides. A fascinating opportunity to watch Metinides horrific tragedies play out in time. Be sure to check out the incredible crime story, The Black Trunk. Regional/Travel: A by Gregory Halpern (J&L Books). A is for Abandoned, Acrid, Animalistic, American and Ambiguous. Runner-up: One to Nothing by Irina Rozovsky (Kehrer). A beautifully understated Israeli travelogue. Female artist monograph: Illuminance by Rinko Kawauachi (Aperture/Foil). An exquisitely produced monograph with wide international distribution. This book should make Rinko a household name. Runner-up: About Love by Gay Block (Radius). With the death this year of Milton Rogovin, it is great to see the tradition of quiet and humane portraiture living on in the work of Gay Block. Male artist monograph: Dirk Braeckman (Roma Publications). Described by Braeckman as “a cross between an artist’s book and a survey publication,” this is a terrific summation of his mysterious and distinctive world. Runner up: A New Map of Italy by Guido Guidi (Loosestrife Editions). Guidi’s complicated excavation of simplicity edited and packaged by John Gossage. Historical/Archive: Photographic Memory: The Album in the Age of Photography by Verna Posever Curtis and Denise Wolff (Aperture). A beautifully produced book on a fascinating subject. Runner-up: War Primer 2 by Adam Broomberg and Oliver Chanarin (Mack). A searing update of Bertolt Brecht’s Photo-epigrams. Did I miss any genres? Do you disagree with my selections? What were your favorite books of 2011? I want to hear your comments. This upcoming week, PhotoIreland will feature a myriad of Conferences, Talks, Exhibitions and Events. This one-day symposium, co-organized by PhotoIreland and GradCAM and supported by the City Arts Office, Dublin City Council, investigates emerging possibilities around collaboration, sharing and exchange and collective models of production, consumption, and ownership across a number of arts and non-arts fields. It brings together number of local and international speakers made up of artists and theorists, activists and commentators across a number of areas and fields. These include: Michel Bauwens, Branka Ćurčić,Renée Ridgway, Patrick Bresnihan, Nicolas Malevé, Adria Rodriguez, Gergely Laszlo, Tom Stewart, Michaele Cutaya, Aebhric Coleman and Andrew Hetherington. Time: 9.15am – 5.45pm. Fee: €8 includes teas, coffees and lunch for the day. History of Disappearance by The Franklin Furnace, New York. Live Art from New York 1975 – Present. Works selected from the Archives of Franklin Furnace. In the framework of PhotoIreland’s Book & Magazine Fair, p. 48. The full programme is available on the PhotoIreland website, and its Calendar.